Moments after being handed out at the awards ceremony in Barra da Tijuca, the Fields medal, considered the most prestigious prize in mathematics, was stolen. RIO DE JANEIRO, BRAZIL – In a startling turn of events, the Fields Medal, the medal often described as the “Nobel Prize of Mathematics,” was reported stolen a mere thirty minutes after being awarded to Caucher Birkar at the International Congress of Mathematicians held at the Riocentro convention center in Barra da Tijuca on Wednesday, August 1st. 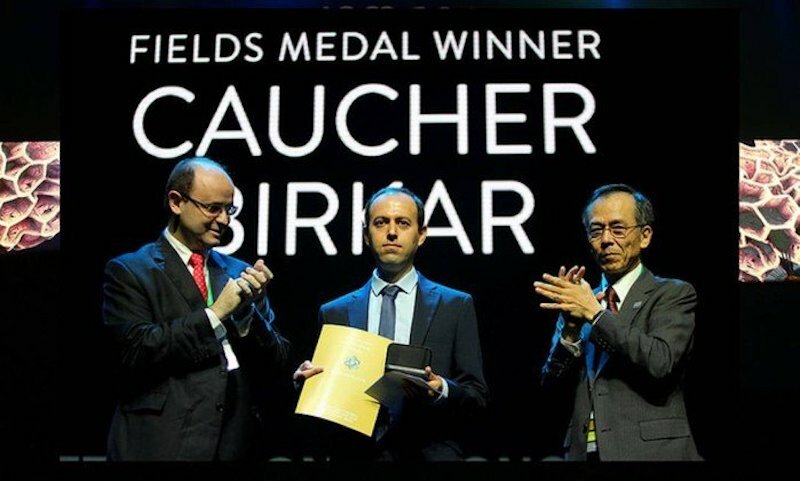 U.K.-based Iranian refugee Caucher Birkar was awarded the prestigious Fields Medal in Rio on Wednesday; moments later the medal would vanish, photo internet recreation. “The organizing committee of the International Congress of Mathematics profoundly regrets the disappearance of the briefcase of mathematician Caucher Birkar, which contained the Fields Medal he received at this morning’s ceremony,” read a statement from the event organizers. One of the most prestigious prizes in the world of mathematics, the 14-carat gold Fields Medal, was given to Birkar, an Iranian refugee and University of Cambridge mathematician, who was honored along with Alessio Figalli, Peter Scholze, and Akshay Venkatesh for their major contributions to mathematics. According to news sources, after receiving the medal, the U.K.-based Birkar, left the medal along with his wallet and phone in a briefcase on a table at the convention center. The briefcase vanished and Birkar immediately notified security. Security staff later found the briefcase under a bench, but the medal and wallet were gone. After the medal’s disappearance, Birkar was absent from the post-awards press conferance which included the three other medal recipients. Held every four years, Wednesday’s International Congress of Mathematicians was the first time the event was held in the Southern Hemisphere. The Fields Medal is awarded every four years to the most promising mathematicians under the age of forty.